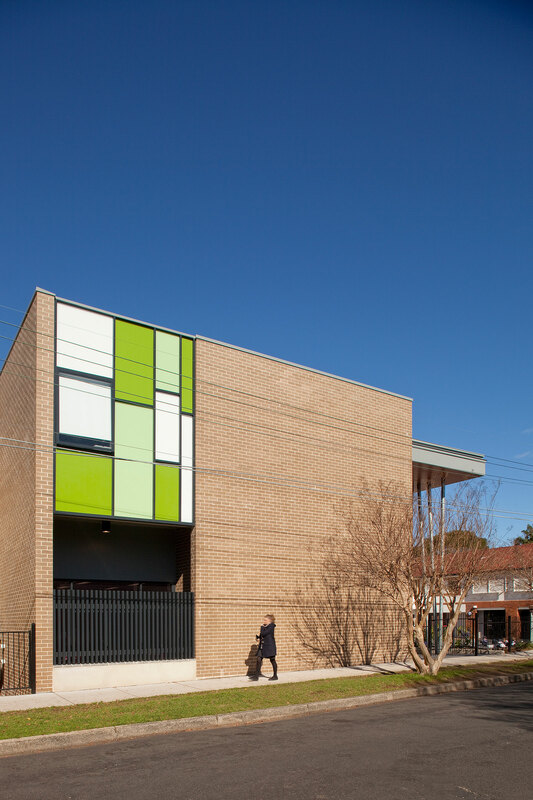 This well-established Catholic Primary School in the Sydney suburb of Willoughby caters to a growing community of families and enrolments indicated the need for three new classrooms and a library. The brief was to provide three new classrooms, a new library, a new staff room, a refurbished and relocated administrative area and a new lift on the tight and constrained site. Nicholas Architects worked through numerous options with the client, with the preferred option being to build the classrooms over the playground to avoid loss of play areas. This approach resulted in a quadrangle which promotes an inclusive learning environment and allows excellent visual surveillance over the school grounds.